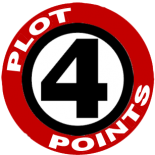 In the coming weeks, Plot Points will be unveiling Secret War, a new Event based on one of the first crossover events of the 2000’s. The event will detail new Datafiles, Milestones and Action Scenes, as well as brand new rules for implementing flashbacks into your game. We’re very excited by this, especially since the Event takes place just before the Breakout Event, seen in the Basic Game. We’re very excited to be working on this, and hope you’ll enjoy what’s coming down the pipes. Woot! I’ll be watching this with great interest. This sounds cool. I also have a suggestion for a project you folks could do…taking the best adventures from the three previous Marvel games and turning them into Marvel Heroic Roleplaying events! We could definitely do that in the future. Any suggestions on particular adventures? I’m partial to Time Trap from the original TSR game, cos it really loads up on characters. love what i’ve read here. day of the octopus (the beginning adventure from the original marvel super heroes rpg. and cat’s paw.. the adventure that featured Alpha Flight, the leader, justin hammer. i don’t read current marvel comics. how about some events from the good ol’ days like when the masters of evil invaded avengers mansion? or spidey’s gang war? This entry was posted on March 31, 2012 by Mark in Preview.